With the support of PIANC International and the National Sections, YP-Com has developed numerous activities targeted for young professionals. The purpose of these activities is to encourage participation in PIANC among its newer members and facilitate networking among those industry peers. While these activities are advertised for Young Professionals, all members of PIANC are welcome to join any of the activities listed below regardless of experience level within their profession. The 7th PIANC YP-Com Biennial Technical Visit 10-13 June 2019 in Singapore. PIANC Singapore is organising the 7th Biennial Technical Visit (BTV) and we are pleased to officially invite you to attend this event which will be held from 10-13 June 2019. This year’s BTV is themed ‘Innovations in Maritime Infrastructure’ which will highlight the importance of Ports and innovation in the national development of our nation. The BTV is an important and prestigious event on the PIANC YP-Com calendar, and this will be the first time for the event to be held in Asia! During the event, you can expect topics on Ports in Singapore, visit key projects of the thriving maritime industry here, discuss with experts on the challenges ahead, and much more! It will also be a great opportunity to network with other professionals from the region. The teaser flyer is attached providing the tentative itinerary and topics. To register your attendance, kindly RSVP to BTV2019@pianc.org.sg by 8th April 19. Registration is open and all are welcome to attend this event. We look forward to seeing you at the BTV this June! 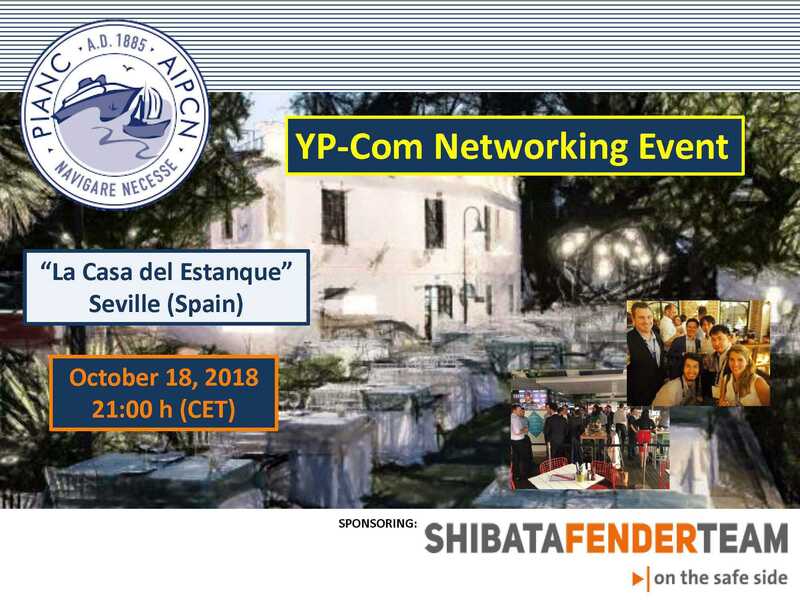 Join the YP-Com Networking Event in Seville, Spain on 18 October 2018 at 'La Casa del Estanque' (Paseo de las Delicias, s/n 41012 Seville) at 9 p.m. (CET). To confirm your presence, please send an email to ypcom.secretary@gmail.com. We are happy to announce that the 3rd PIANC YP-Com Asia-Pacific Seminar is to be held in Korea. To show you our inland water as well as marine port, we have prepared two venues for this seminar, which are Seoul and Busan. Hope to see you soon! PIANC YP-Com & SAICE Marine will host the 1st African Seminar on a range of coastal engineering related topics presented by young professionals, and supported by Stellenbosch University Coastal Engineering Short Course. We invite YP delegates worldwide to the 1st African Seminar to be held on the 30th and 31st August 2018. The 6thPIANC YP-Com Biennial Technical Visit took place 15-21 June 2017 in Sydney and Cairns. PIANC Young Professional Commission (YP-Com) and PIANC Australia hosted delegates from across the globe to the 6th Biennial Technical Visit (6BTV), held from 15–21 June 2017 in Australia. The BTV is the most important and prestigious event in the PIANC YP-Com calendar. The 6BTV was held in Sydney and Cairns, highlighting recent port and harbour developments and Australia’s unique marine environment. The event theme was "Working with Nature". The 5thPIANC YP-Com Biennial Technical Visit took place 6-8 May 2015 in Ghent. The Belgian PIANC YP organised a BTV based on the idea ofGreen & Blue Energy. 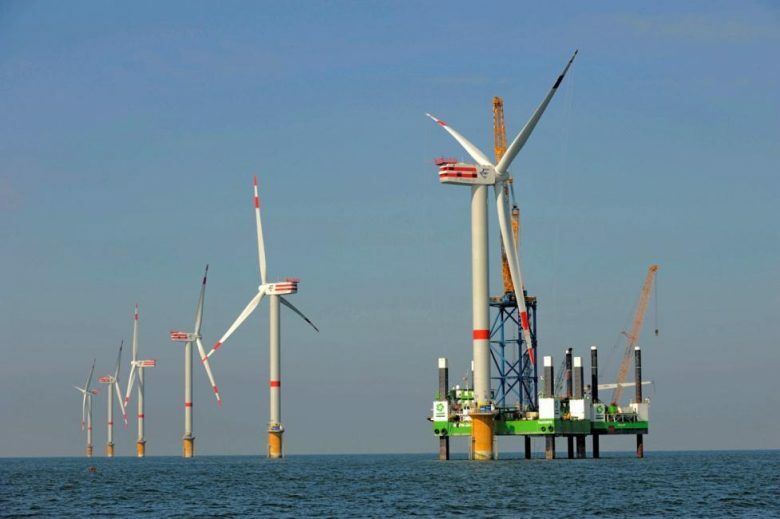 Each day was filled with a different technical programme, including visits to the following sites: an offshore windmill farm and a wave and tide energy facilities. All days finished with a social activity to encourage networking between the participants. The 4th PIANC YP-Com Biennial Technical Visit took place 07-10 July 2013 in Panama. More than 60 Young Professionals representing 10 countries (Argentina, Austria, Belgium, Brazil, Chile, Hungary, Mexico, Panama, Spain, The Netherlands, UK and USA), including 31 students and one professor from TU Delft Panamérica Study Trip, toured the Panama Canal from Gatun Lake to the Pacific entrance on the 8th and 9th of July. The main days of the 4BTV closed with a reception at the residence of Ambassador Wiebe De Boer (Embassy of the Kingdom of The Netherlands in Panama). A smaller group, approximately 25 PIANC YPs, continued for another 2 days to visit the Port of Balboa and the Atlantic side of the Canal. The 3rdPIANC YP-Com Biennial Technical Visit took place October 2011 in Rotterdam. 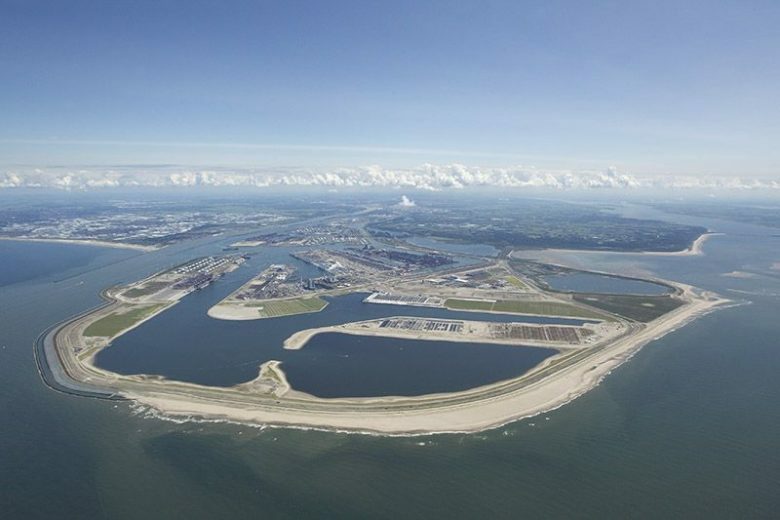 The event was organized by the Netherlands delegation (Alice Clijncke) and sponsored by Port of Rotterdam Authority, PUMA (van Oord and Boskalis), and PIANC the Netherlands. Twenty Young Professionals from seven countries (the Netherlands, Belgium, Germany, France, Hungary, UK and Australia) visited Maasvlakte 2, an extension of the existing Maasvlakte, which will create 1,000 hectares of space for deepsea-related container transshipment, distribution and chemical industry. The tour included presentations by the planners and designers of the project on the master planning process and the environmental, navigation, shore protection, and land creation aspects of the project. The Young Professionals set foot on the contours of this new part of the Dutch coastline and were given a close look on the breakwater works with a view on the Blockbuster, an E-crane, with a reach of 63 metres for concrete blocks up to 45 tonnes. The fall YP-Com meeting was held the day prior, which also included a tour of Deltares facilities in Deflt and enjoyed dinner in the city of Deflt that evening courtesy of Deltares. The 2nd PIANC YP-Com Biennial Technical Visit took place September 10, 2009 in Vienna.. In addition to Young Professional conference participants, YPs not attending the Conference were invited to join one of the two conference tours (Port of Vienna and Danube Power Plant Freudenau and Visit at Industry Logistics Linz) offered at the Conference. The 1st PIANC YP-Com Biennial Technical Visit took place 5-6 July 2007 in Venice. 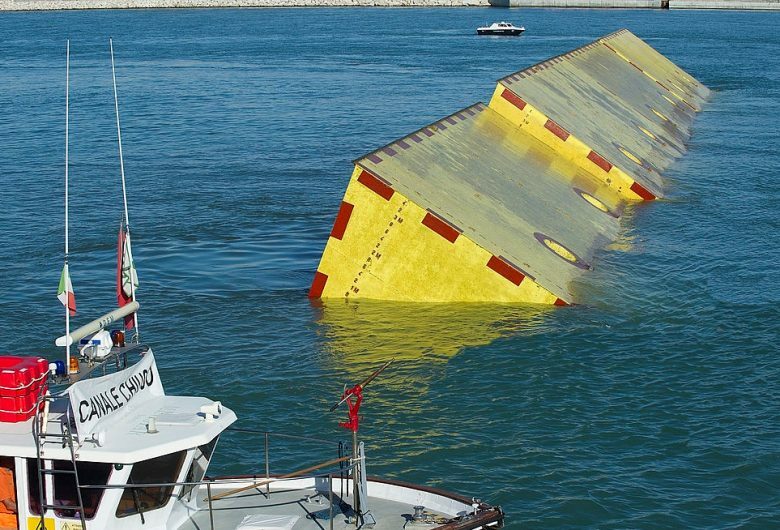 The event was orchestrated by PIANC Italy with the support of the Venice Water Authority. Twelve Young Professionals from Germany, France, Italy, and the Netherlands visited the MO.S.E. project and Experimental Centre for Hydraulic Models.